PEARL, Miss. 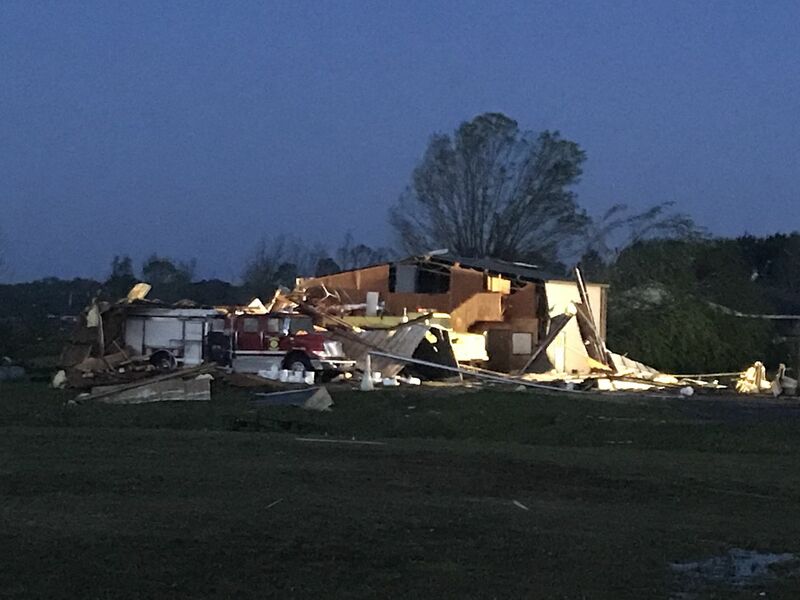 (WLBT) – Governor Phil Bryant has declared a State of Emergency following widespread severe weather on Saturday. Sunday afternoon, the Governor and the Mississippi Emergency Management Agency (MEMA) met to give an update to the public on the damage across the state. Officials say that 17 counties are dealing with damage from the storm. The worst damage was seen in Monroe and Warren Counties. All schools in Monroe County will be closed tomorrow due to power outages. Vicksburg schools will also be closed. One person was killed in Monroe County. 11 people across the state were injured, including a woman that was pinned in her home after a tree fell down in Warren County. MEMA says that official damage assessments will start as early as Monday. Right now they know that, 64 homes and four apartment complexes sustained damage. 15 business were damaged. A fire department in Monroe County was completely destroyed. Officials shared that there are no storm shelters open as there is no current need. Most of the displaced have found shelter with family. 26,000 are still without power across the state, energy crews are still working to get everyone back online. 28 roads have been closed across the state mostly in rural areas because of flooding. 18 roads were damaged in the storm, as assessments are made some of them may be closed in the near future for repairs. The Governor also made mention of a Lear jet that crashed Saturday evening in Union County. Three people were killed in the crash, although initial reports state that the crash was not weather related.